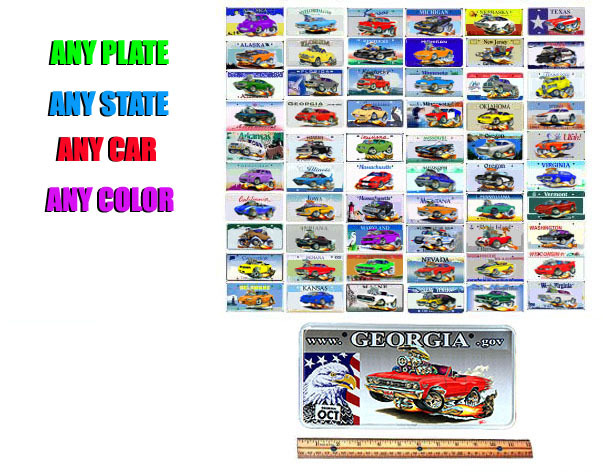 size heavy aluminum state license plates with any of our cars printed on them. car or truck. Add one to that special show car to truely stand out in the crowd. each. Available for all USA states and Canadian provinces. enter your choices next to each state license plate.